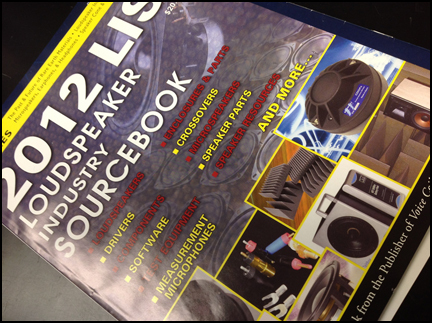 Acoustics First’s Cutting Wedge acoustical foam is featured on the cover of the 2012 Loudspeaker Industry Sourcebook. 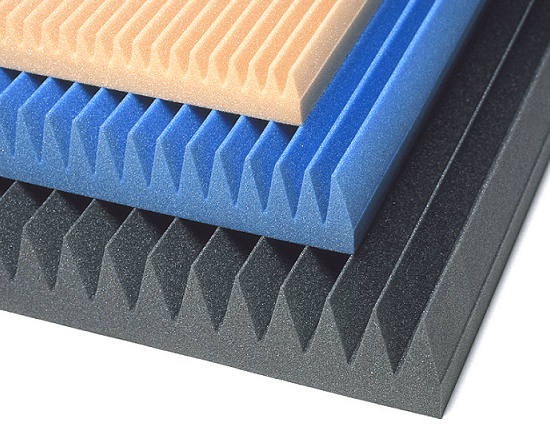 Acoustical foam can be used in any application that requires sound absorption. This material is used to prevent destructive specular reflections from distorting or color sound. It eliminates room modes and standing waves. Cutting Wedge foam provides more absorption than flat foam by increasing the exposed surface area with its “blade” pattern. Available in 2″, 3″ and 4″ thick material, this premium acoustical foam can be used to line the cavities of speaker boxes, remove reflections in recording & broadcast studios, quiet machinery and much more. 1’x1′ or 2’x4′ sheets allow the application to be designed however you with to provide optimal coverage for your application.